On his way to Great Lakes, IL for basic training. He’s going to be a computer/electronic technition aboard a submarine. 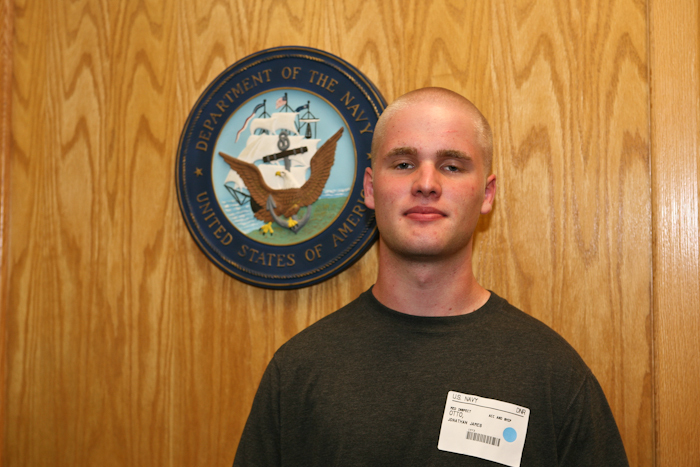 This entry was posted in Random Thoughts and tagged great lakes IL, Jonathan Otto, navy. Bookmark the permalink. Doug… they do indeed grow up fast. My oldest just left for college, and as cliche as it sounds, it truly does seem like only yesterday that we were hiking with him in a kiddie backpack. You must be very proud! Thanks David. Yes, I’ve very proud of him. He’s a great kid.